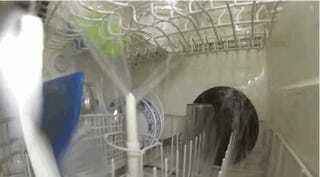 What Does A Running Dishwasher Look Like On The Inside? Basically, like a bidet from hell. 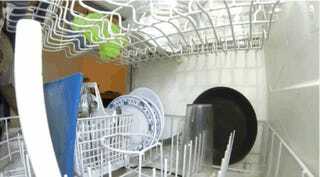 "Always wanted to see what happens in my dishwasher after I close the door," writes YouTuber Bito, who shot this footage with a GoPro.